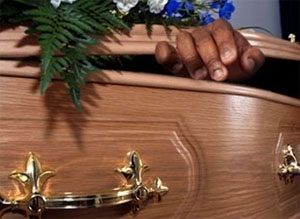 Residents of Tafo Zongo in Kumasi on Friday experienced the shock of their lives, when a man in the area who has been declared dead for more than 24-hours suddenly resurrected. Alhaji Satal’s body, which had been brought from the morgue, was being prepared for burial after Friday afternoon prayers, when suddenly the dead man opened his eyes and started breathing a day after he was involved in an accident. The dead man, 35, was quickly rushed to a nearby hospital at Abotanso near Tafo where he was admitted for treatment. But he finally gave up the ghost the following day. A man who was bathing Satal’s dead body for burial on Friday afternoon, suddenly rushed out of the room panting, as he disclosed the mind-blowing story to the mourners gathered. The news of Satal’s sudden return to life ignited both joy and fear among the people present. Those that were happy were seen jubilating and shouting “Allahu Akubaru” to wit “Allah is great”. The terrified ones, mostly women, however, took to their heels from the funeral grounds spreading the story of the resurrected man to the equally astonished residents of the densely populated area. Within minutes, scores of curious people from far and near converged at the house of Satal, believed to be the son of the Chief Imam of Tafo. One Odeefuo who claimed to be a relative of the deceased said on ‘Breaking News’ aired on Kessben FM that, Satal was riding a motorbike from Techiman to Kumasi on Thursday when he got involved in an accident. Satal, he said, was rushed to a hospital at Techiman and after thorough checks on his body, medical doctors confirmed him dead. His lifeless body was deposited in the refrigerator at the morgue. The body of the deceased was released to the family the next day for the necessary rites to be performed in line with Muslim custom before burial on Friday afternoon. Odeefuo told Ali Baba of Kessben FM that the body was put in a room where it was being washed with hot water before dressed up and conveyed to the Tafo cemetery for burial. During the washing of the body, Satal suddenly returned to life by opening his eyes and starting to breathe. So the man that was washing the body got terrified and rushed outside to spread the good news. Mourners present quickly rushed Satal to a medical facility at Abotanso for immediate medical attention, but he was declared dead some hours later. Odeefuo suspected that Satal was not dead when he was put in the morgue at Techiman. He did not rule out the possibility of the family taking legal actions against the doctor that initially declared Satal dead.